After reviewing LWC2012 and CG2012 day 1, let’s continue with day 2. The morning started with the first keynote. Markus Völter led the session with the title “Domain-Specific Language Design – A conceptual framework for building good DSLs”. Here Markus deep down with an ontology approach, reviewing the dimensions of DSL Design: covering nine topics: expressivity, coverage, semantics, separation of concerns, completeness, paradigms, modularity, concrete syntax & process. In the session, he focused mainly on expressivity, semantics, modularity and concrete syntax. I found specially interesting the dissection of types of language extension and composition providing detailed samples in each case. In summary, good and quality stuff as Markus used to deliver. As commented by Markus, this material will be published as a book “DSL Engineering” at the early 2013. User Interfaces are always interesting to me so: Achim Demelt session’s was a must see session or me. “Mission: Impossible — Purely declarative User Interface Modeling”. The session was very good. The slides are not enough, the accompanying demo shown the tool at work. Achim and his team created Silverlight based UIs using a Java back-end. The S4 environment presented is agile enough to model and generate UIs for the ERP domain Achim was targeting. Next session for me was for the Jetbrains’s guys Maxim Mazin and Evgenii Schepotiev with the talk “Webr-DNQ — web application development with pleasure”. They show the language extensions Jetbrains has designed over Java using MPS to build in-house products like YouTrack. This is a very clear sample of the quote: eat your own dog food. After a coffee, and back to action to a very different session: Steven Kelly lead the hands-on session titled “Have your language built while you wait”. Here some of us creating Language Workbenches where placed in a room with our laptops waiting for customers. During rounds of 25 minutes we were attending them showing the capabilities of each tool and solving a concrete and practical small problem proposed by the customer. 15 master craftsmen, representing 11 top language workbench tools, volunteered their time to build languages for participants’ domains. It was a very interesting format because it not only allows people to try new tools, but also to promote cross polinization between tool makers. From mi side I was there showing Essential and also have the chance to play a little with The Whole Platform with Riccardo Solmi and Enrico Persiani and take a closer look to Ensō with Alex Loh. Steve prepared a good summary on this session (take a look for the details on each tools). I borrow here the video here :-). So far, so good! Another day full of code generation, but the dessert was still missing. This year CG2012 changed the relaxing punting trip on the river Cam in favor of a conference called “How Apollo we flew to the moon” by David Woods. The result: totally amazing! This guy presented us all a brief but detailed introduction to the Apollo systems and navigation procedures and then deep down on the specific problems on the Apollo XI, the mission where Aldrin, Armstrong and Collins engraved theirs names in the history. Given the audience, David make special emphasis on the computer devices on board in the Apollo missions. Totally amazing the rudimentary technology used was good enough to fly to the moon and come back! Q&A delivered may geek questions about the Apollo mission that David responded with flying colors to impress even more the audience. So I couldn’t resist, and bought my copy of his book and got it autographed by David (I was not the only one BTW). A good reading for sure, if you like space and/or engineering. Categories: Code Generation, DSL, Essential, Language Workbench. Tags: Code Generation, DSL, MDD, mde, mdsd. Cambridge held on 28-30 of March. The full programme can be reviewed here http://www.codegeneration.net/cg2012/program.php. Disclaimer: as usual CG2012 runs three sessions in parallel, so you are always losing ⅔ of the good stuff. In any way, this year we were able to alleviate this: attending with two more Icinetic colleagues (Rubén Jimenez and Jonathan Cáceres) help in dividing the sessions and giving a full event coverage. After the coffee break, I moved into the session “User Interaction Modeling: current status of the standardization process, from the requirements to the language” given by Marco Brambilla and Emanuele Molteni (from WebModels). Marco and Emanuele are pushing an standardization effort called IFML inside OMG to propose a UI standard based in their UI modeling experience. In the mid-term UML tools vendors could finally start adding support for UI Modeling and this is a good thing, per se. Other standardization efforts are on-going such us UIML in OASIS and Jean Vanderdonckt’s UsiXML in the W3C. the publishing industry”. This was a very refreshing session, presenting a novel domain for MDSD: interactive books. Riccardo and Enrico presented the base XML used before for composing the books and how this approach become a maintenance nightmare also for each book. Using The Whole Platform they provided a projectional editor integrating images and colorization preview in a kind of WYSIWYG approach making the edition a more pleasant experience. After that, I move on Markus Völter & Bernhard Merkle’s session on “mbeddr C: an MPS and model based, extensible version of the C programming language”. Using MPS Markus and Bernard has extended the base C language to include safety and productivity features like unit tests support, type safe units, state machines, etc. Impressive bottom-up work inserting new features in a well-known language. mbeddr C have for sure real applications in the embedded software industry. To end the day, Eric Jan Malotaux presented a very original case study. Under the title “Transforming a 15 year old model-driven application from C++ to Java” he presented the costs and migration efforts performed to migrate a legacy application modeled over a DB and generating C++ to a most modern EMF models and Java source code as output. Eric pointed out that many of the problems came from the different architecture (implicit) assumptions done in the source model. Not until understand it, they were able to solve the problems. Eric concluded that although it was not cheap and easy, it probably would be more expensive and painfuller if the source was only source code and not a model based with a unique semantic over it. Eric gave a great talk and was very prudent about giving only numbers he could backup with data. This case, presented by Eric made me think twice about how MDD provides advantages years after it was build. At the end is always a problem of dealing with complexity: a model has lower complexity (more constraint) that pure source code. We ended the evening in a more relaxed way in the nearby Castle Inn sharing good moments. Categories: Code Generation, MDD, Uncategorized. Tags: cg2012, MDD, mde, mdsd. The arrival to my new job in Sevilla has coincided with the preparations and launch of a new product. We at Icinetic, are releasing Radarc 3.0. Radarc is a very easy to use code generator highly integrated with Visual Studio and targeting .NET technologies. Radarc has the ability produce multiple architectures using the same base models and keeping in-sync generated artifacts when model element changes. Architectures and DSLs for defining the models are packaged in so called “Formulas”. Radarc creates a complete prototyping application in seconds following the cycle: change the model, touch no line of code, build and run. Prototyping an application is a question of minutes, and obtain a first scaffolding of your application. Moreover, custom code can be inserted in specially designed locations that will be preserved in every regeneration lap. Radarc 3.0 is available with three licensing models and its free for non-commercial usage. If you work in a .NET development shop, feel free to give it a try and give us some feedback. On the other hand, if you want to start learning one of the previous technologies or architectures, you can use also Radarc to generate a reference sample application and start exploring the code. If you are a experienced software architect and needs to evaluate SW architectures to benchmark them before choosing a winner arch for your project, think about the cheap possibility of generate the same application in two technologies and test how well performs for your specfic problem. These days, I am learning a lot about the state of art here at Icinetic and I hope to start contributing to the bits very, very soon. Bonus extra: a 20 minutes demo video (in Spanish) generating three architectures is available. Next week we will be attending Code Generation 2012. If you are interested, join us and see a live demo or download it and give it a try! Categories: .NET, Architecture, Code Generation, MDD. Tags: .NET, Code Generation, MDD, mde, mdsd, Radarc. Times fly! Code Generation 2012 is only two weeks ahead. During the latest’s weeks we have been very busy combining day to day work with the preparation of material for the conference. This year the conference will be held from 28th till 30th of March, in the habitual place: Murray Edwards College, Cambridge, UK. The day before, the 27th the Language Workbenches Challenge 2012 takes place in the same scenario. The competing tools will show us how they resolved the current assignment. The keynotes by Jan Bosch “Speed and Innovation through Architecture” and Markus Völter “Domain-Specific Language Design – A conceptual framework for building good DSLs”. 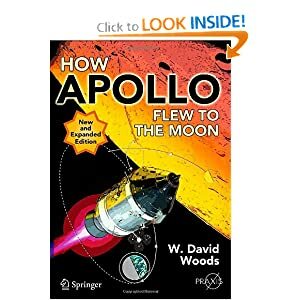 David Woods will talk on 29th about “How Apollo flew to the Moon” Don’t miss it! The practical session “Have your language built while you wait” driven by Steven Kelly will allow you to solve your problem (domain) in 20 minutes. It will be funny. Attending the full LWC2012 and CG2012. This year, Icinetic proudly sponsors CG2012, so we will be present there. If your are interested in MDSD feel free to ask us and we will make you a demo of our work and products. Ruben Jimenez and I will be presenting the session “Modelling and Code Generation on the .NET platform at Icinetic” on Wednesday 28th. On Thursday 29th I will be taking part in the previously quoted session “Have your language built while you wait” with Essential. Finally, on Friday 30th, Ruben and I will lead the session “Multichannel User Interfaces”. As every year, looking forward to join and meet again with the CG community. See you there, guys! Categories: Code Generation, DSL, Essential, MDD. Tags: Code Generation, mdsd. The Hello World sample is a nice starting point to show the syntax and capabilities of every new language. This test is also useful for code generators and Domain Specific Languages (DSLs) also as a proof of concept. Following this honorable tradition, I have created a video showing the capabilities of Essential: the tool I am working on for doing agile Model Driven Development. In order to see the details, jump to Vimeo, activate the High Definition mode (HD) and set full screen (sorry embebed version is not good enough). Essential IDE – Hello World sample from Pedro J. Molina on Vimeo. More info about it and 12 usage scenarios in the last Code Generation 2010 presentation about Tailored Code Generators. Categories: Architecture, Code Generation, DSL, Essential, MDD. Tags: Code Generation, DSL, Essential, MDD, mde, mdsd, video.